The glimmer twins, circa 1980-something. By way of introduction: This list is in direct response to Rob Sheffield’s (Rolling Stone) list, which I deem as piss poor and very lazy. He doesn’t even do his homework of the fact that there has been 74 songs recorded and released by The Smiths, not 73, plus he plays the “critic” to much, instead of celebrating their catalog. I took considerable care with this list, obviously ranking “instrumentals” the very lowest because they do not include Morrissey, which Sheffield doesn’t. My attempt to try and separate my personal feelings in trying to deliver “the best” has been challenging to say the least. I went through the catalog, writing out each song on paper, separating and grouping songs to bottom, middle, and then top, and starting this project that way to keep me semi-sane, hahaha. Using this process I came up with 16 songs in the bottom, 24 songs in the middle, and 28 songs in the top (which separates the catalog nicely for ranking purposes), then clicking and dragging each song into folders and pitting each song against themselves. I list each song and the year of release along with a brief description, as well as with my favorite line from each song. I listened to each song again and had the catalog playing as I made this list. There are different versions of some of the songs, in this case I chose in my mind the most popular or the version that appears first. My story of the Smiths begins in earnest in the summer of 1985 — even though the Smiths are on my radar before 1985 — it isn’t until a beach party in Ocean City, MD, hosted by Sean Murphy that my love for the band is locked forever. A cassette of the album Hatful of Hollow plays all evening and when everyone is drunk and or passed out, I “stole” the cassette tape. The cassette remained in my car cassette deck for almost a year, I listened repeatedly until the car’s engine blew up, I could never retrieve the cassette from the player, it died with the car. Now, I’ve repeatedly apologized to Sean and even offered to replace the cassette in multiple formats, but Sean being such a wonderfully nice and kind man, refused , only stating “I’m so happy it has brought you joy over the years my friend”. 63. Never Had No One Ever (1986) Appears on the album “The Queen is Dead” The song is about Morrissey not feeling at ease in his hometown of Manchester, England , he states that he always felt like and outsider in an article to Melody Maker. Billy Bragg also covers this song perfectly and beautifully. There is an outtake version of Morrissey laughing hyterically throughout the song which is marvelous. My favorite line is Morrissey pinpointing the time of his birth to the day he started writing the lyrics to the song, hahahaha. Favorite Line” I had a really bad dream, it lasted 20 years, 7 months, and 27 days”. 56. Death of a Disco Dancer ( 1987) Released on the album “Strangeways, Here We Come”. This is a case of a great band, probably the greatest English band of the 1980’s hitting their stride. They pretty much had this song nailed down in one take, I know I own the first take of this recording on a bootleg with Morrissey on piano. Very much like a Beatles song, contrite and campy even with the serious material of murder. The album version goes 5:26 in length, the first take is 6:40. Morrissey stated “people left me well alone after this song”. Favorite Line: “If you think peace is a common goal, that goes to show how little you know”. 42. Frankly Mr. Shankly (1986) released off the album “The Queen is Dead”. The song is NOT about Bill Shankly longtime manager of Liverpool F.C , Morrissey just used the name because it rhymed with the word “frankly”. 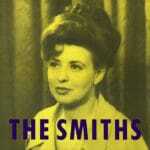 The song is about Geoff Travis head of The Smiths record label “Rough Trade” and his criticism of a poem Travis wrote to Morrissey. Morrissey invited Linda McCartney to play piano on the song but she refused. Favorite Line: “I want to live and I want to love, I want to catch something I might be ashamed of”. 40. 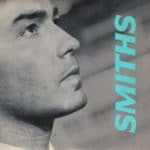 William It Was Really Nothing ( 1984) , released as a single as well as “Hateful of Hollow”, “Louder Than Bombs (US)” , and “The Sounds of the Smiths”. The song is about a love triangle that involves a marrying couple and a gay man. William is in denial about his homosexuality. The song is believed to be about Billy Mackenzie lead singer of the post punk Scottish band “The Associates”. Favorite Line: “How can you stay with the fat girl who’ll say, would you like to marry me and if you like you can buy the ring”. 37. 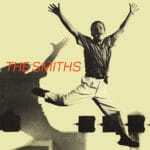 I Want The One I Can’t Have (1985) released on the album “Meat is Murder”. Morrissey longing for someone he cannot be romantically involved with. Fun and campy. So many great tidbits in this song. Favorite Lines: “A double bed and a stalwart lover for sure””If you never need self validation, just meet me in the alley by the railway station”. 35. Reel Around The Fountain (1983) Released on “Hatful of Hollow” , released as a single in some countries. The song is loosely or entirely based on the movie “The Collector” and in particular Terrance Stamp’s acting in the movie which Morrissey obsessed over. Morrissey said that the song is about a loss of innocence. Also , Morrissey again steals form “A Taste of Honey” Favorite line: I dreamt about you last night, and I fell out of bed twice”. 27. 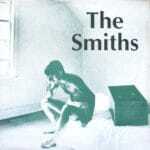 Rubber Ring (1985) released as a b-side to “The Boy With The Thorn In His Side” , the live album “Rank” , “The World Won’t Listen (UK)” , “Louder Than Bombs (US)”, and finally on “The Sounds of the Smiths. I cannot begin to explain the importance of this song “to me”. It’s the only time (or first time) I’m going off the rails. You see, from 1980 to late 1986 I was desperately depressed. The Smiths and Morrissey’s lyrics had so much to do with how I began to pull myself up, to give myself breaks, and most importantly using good qualities to combat the bad ones. 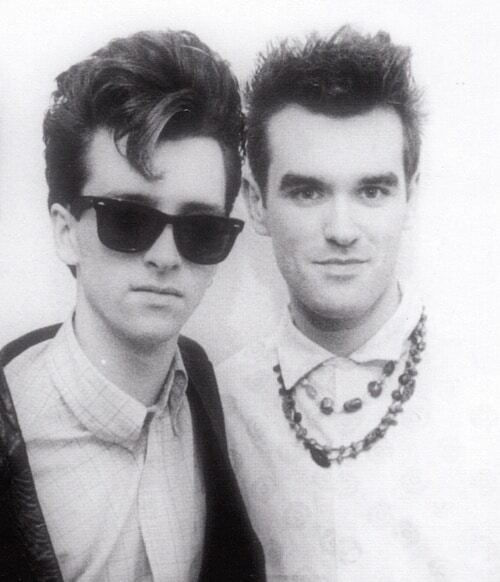 The Smiths didn’t heal me, that would come later , but they sent me on my way. 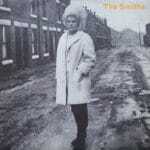 “Rubber Ring” just opened my eyes to the fact of what the Smiths were doing to me personally, all positive. Morrissey personally writes to his fans in this song asking not to forget him and the songs that make you smile, the songs they’ve outgrown , that songs that were the only thing there for you. The song is about most importantly the healing power of music. How music helps , and how music can help you to grow as a human. The passing of time can give a person perspective about things that were so troublesome to a younger soul really doesn’t matter to a maturing teenager in their late teens. It is a complete masterpiece. It threw me into fanaticism, after this , I must collect every book, and music of this band, consume it all. And it works out because still in 1985 , hell even in ’87 , nobody is playing The Smiths on the radio with any regularity, they are my own personal secret band. Favorite Line(s): ” Yes you’re older now, and you’re a clever swine, but they were the only ones who ever stood by you” ” I’m here with the cause , I’m holding the torch, in the corner of your room can you hear me, and when you’re dancing , and laughing , and finally living , hear my voice in your head and think of me kindly”. 26. Accept Yourself (1983) released on “Hatful of Hollow” , released as a single. Well do I have to say the words “INSTANT HEALING”, Morrissey in some of his first words openly admits to the listener ” I am sick, I am dull, and I am plain” well I listened to that and said to myself , I’m not sick, most definitely not dull, and most certainly not plain either. I think I have a pretty good personality and I believe I can be extremely funny at times, so I must be doing better than Morrissey. It meant that I wasn’t alone in my life, some people even if they live in England feel the same about their lives. And this person Morrissey with all his troubles that seem bigger than mine is stressfully almost angrily asking me “When Will You Accept Yourself !!!!! !” and then changes his tone to almost woefully asking the same question, because there is nobody else to blame. Wow , mind blown , he gets me and doesn’t even know me. The message of the song is “acceptance”. Favorite Line(s) : “Anything is hard to find, when you will not open your eyes” “Plans can fall through, and so often they do” “When will you accept your life, the one that you hate”. 20. 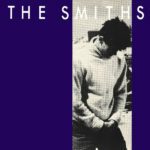 Still Ill (!983) released on the self titled album “The Smiths”, “Hatful of Hollow” , the live album “Rank” , released as a single, “The Sounds of the Smiths”. The song asks the question , does the body rule the mind or does the mind rule the body. Morrissey hatred for English life and the doll is on full display. “England is mine and it owes me a living”. Morrissey still performs this song regularly. A few versions of this song exist. Morrissey openly asking “himself” “am I still ill?” Masterpiece. Favorite Line: “Under the iron bridge , we kissed, and although I ended up with sore lips”. Editor’s Note: Many thanks to Bob for allowing us to repost this work from it’s original form as a Facebook post. turn this into a playlist on spotify!